At Wolverham Primary School we plan learning in a thematic approach using our English curriculum texts as a driver. We follow the Literacy Company’s ‘Pathways to Write’ scheme which provides high quality texts and further embeds our mastery approach. Themes have been organised across each year group to ensure that there is coverage of the national curriculum with some standalone days planned across each year group. This thematic approach leads to a more flexible delivery of the curriculum meaning that some weeks, children may not study art: instead they will have a focus on Geography. During other weeks, the opposite may be true, and some weeks there may be a balance across the subjects. Organising the learning in this way ensures teachers have the flexibility to deliver the curriculum in the way that they feel will have most impact for learners. PE and RE are planned weekly and follow whole school progression frameworks. Below are the termly overviews we are following for 2018 -2019. Please do contact Mr Bullen in school if you wish to find out more information (contact via the school office or contact tab above). We are currently working on our curriculum for summer 2 with a view to developing links with a school in Zambia and developing our pupils’ understanding of their role as a global citizen. In autumn 2018, we created pupil curriculum groups to ensure that children at Wolverham are involved in the shaping of the curriculum. Subject leaders meet termly with their pupil curriculum group to seek feedback on the subject or area they are leading. Feedback from the children is used to reshape and modify action plans in order to ensure that each subject is both meeting the needs of its learners and maintaining relevance and interest. This means that pupils feel empowered to share their opinions in order to ensure the curriculum is engaging and relevant. Our school council meet every half term to raise points that have been generated by each class in order to improve the provision for children. Each year, assessments made by teachers are collated for every subject. 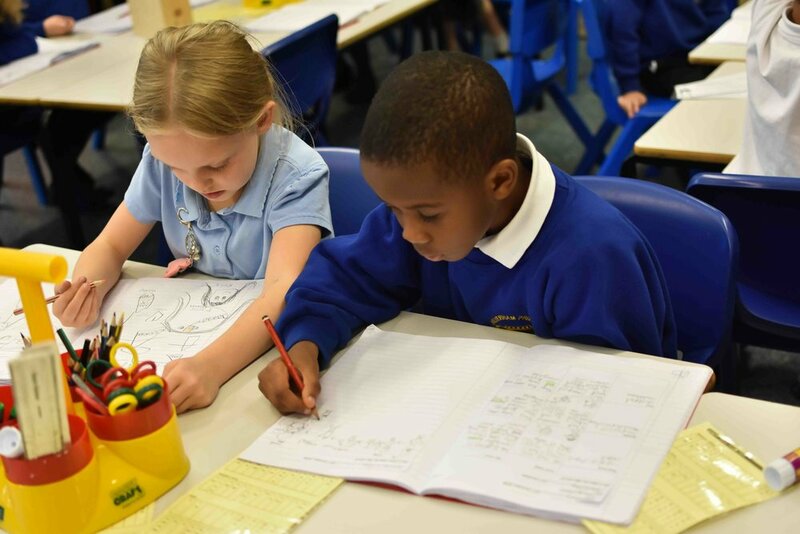 The findings from this data is analysed by subject leaders so they know how well the children are attaining in different aspects of their subject. In 2017/18, staff created year group focus objectives sheets for each of the foundation subjects which will form the basis for assessment: at the end of the year, children will be recorded as working well-below, developing or mastered the skills staff identified for each year. This is only used to provide an indication of children are on track to master the end of key stage objectives by the end of year 2 and 6, but it will allow subject leaders to identify improvements to be made in the next academic year. It will also identify any training that teachers might need to deliver aspects of the curriculum more effectively. To reinforce the school’s strong emphasis on children’s social and emotional well-being, twice weekly in-class sessions and assemblies are built in to the timetable to ensure the over-arching theme is discussed and time is made for children to talk about the importance of their own well-being. British Values underpin the themes for each half term. Children are taught to reflect on the British Value and are introduced to it through weekly assemblies, small group and focused citizenship lessons. One of our aims in English is to develop a love of reading in all children. Therefore, we have a wide range of reading schemes and books available across key stage 1 and 2. These are updated regularly and replenished. Books begin in Foundation Stage with a lilac level where the books are wordless to encourage children and adults to discuss the content and begin to develop the language of stories. Throughout each Key Stage, our reading books increase in small numbered steps through a range of different colours. These are also matched to our guided reading books. Children take part in guided reading every day in each class where they read in a small group with an adult. As a school, we have recently returned to using Letters and Sounds to support our teaching in phonics. Children in Foundation Stage begin on phase 1 where they learn all about the sounds their body can make and join in with rhymes and songs. Each day, children are taught in a small group throughout key stage 1 to develop their phonological knowledge and how to apply this in reading and writing. Children in Key Stage 2 access phonics if required to support their spelling skills and reading. For policies relating to our curriculum please click here to find the relevant policy.